Members of The William Howell Century Club continue the legacy of William Howell, Sr. one of Mercy’s first benefactors. William Howell, along with other like-minded men, helped to establish Mercy Hospital in 1910. Knowing their community needed a private hospital these philanthropic leaders recruited four Sisters of Mercy to come to Bakersfield. Their collaboration with the community built what has become a highly regarded private hospital in Bakersfield. Membership in the William Howell Century Club requires a $1,000 gift each year you are a member. 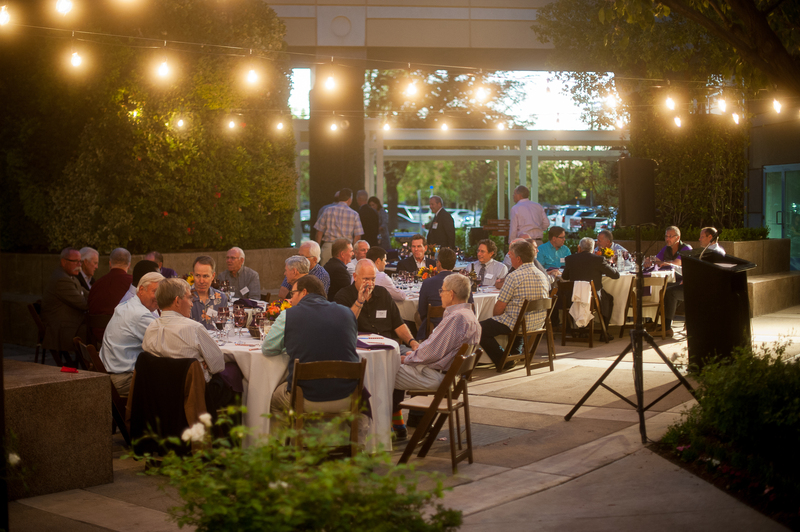 All members are invited to three hosted dinners over a twelve-month period where they meet hospital administrators, tour parts of the hospital, or learn about the latest in healthcare delivery. At one of the meetings, they are given two choices of how to use their cumulative gift and vote on which one to support. 100% of your gift goes toward the funding of the voted project. Would you like to become a member of this men's philanthropic group supporting the fundraising efforts of the Friends of Mercy Foundation? Join now and pay via credit card by clicking here. You can also mail your $1,000 membership gift to the Friends of Mercy Foundation at PO Box 119, Bakersfield CA 93302, contact Samantha.Cardenas@dignityhealth.org, or call (661) 663-6700. A cutting edge glidescope for the Mercy Downtown Emergency Department, an advanced ultrasound for Interventional Radiology procedures, an IPad based translation program that will significantly improve communication with hearing impaired patients,and two Bi-Pap machines that physicians and respiratory therapists can use to offer patients the best chance of not requiring mechanical ventilation. Three ultrasound units for the PICC Line Department and a compact digital ultrasound for the surgery department. The PICC line ultrasounds will allow our caregivers to accurately visualize vessels, track needle trajectory and see the final tip location of PICC lines placed in our patients requiring long-term antibiotics or continuous blood draws. The ultrasound for the surgery department will allow anesthesiologists to accurately guide needles when injecting numbing block while avoiding nerves resulting in fewer side effects and reduction in post-surgical pain. A Digital Mobile C-Arm (X-ray imaging equipment), making Mercy the only hospital in Kern County to offer the Total Anterior approach Hip Arthroplasty; a revolutionary hip procedure resulting in shorter recovery time, less pain and reduced scarring. A Digital Portable X-Ray for Mercy Hospital Southwest, bringing diagnosis and treatment options to the bedside. 11 Vein Finders that digitally display a map of a patient’s blood vessels on the surface of the skin in real time, allowing our caregivers to accurately locate a vein and avoid unnecessary multiple sticks. A specialized microscope used for the partial or complete amputation of a finger or hand following injury. A mini C-arm used for timely diagnosis of orthopedic and extremity cases. Advanced CT scanner technology used to assess the viability of brain tissue after a stroke. Watch the Story of William Howell, Sr.